It’s all fun and games until you’re nearly flattened by a huge bull, and find yourself inches away from his giant eyeguards! There’s simply nothing that compares to the rush of hearing a bull elk tear a hole through a patch of scrub brush in search of your cow call. At least that’s what we thought until we watched this video.. 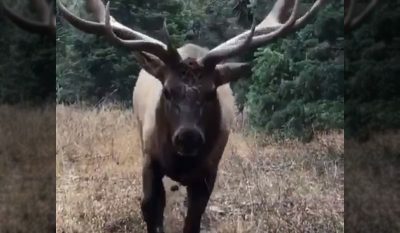 The post Video: Hunter Almost Flattened by Bull Elk Comes Within Inches of Giant Eyeguards appeared first on OutdoorHub.